badgerautomobiles has no other items for sale. 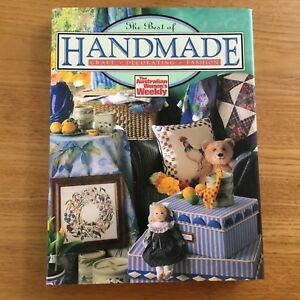 This comprehensive craft book includes 120 of the most popular projects covering all the favourite crafts. Areas include - needlework, soft toys, patchwork, quilting and applique, crochet and tatting, kids knits, paper crafts, folk art painting, stencilling and marbling and other crafts such as jewellery, plaiting, French knitting and fabric painting. Step-by-step instructions help users through projects. Alison Snepp is the author of Baby Names and Embroidery , The Australian and New Zealand Book of Cross Stitch and Counted Thread Embroidery and Jenny Kee Embroidery .